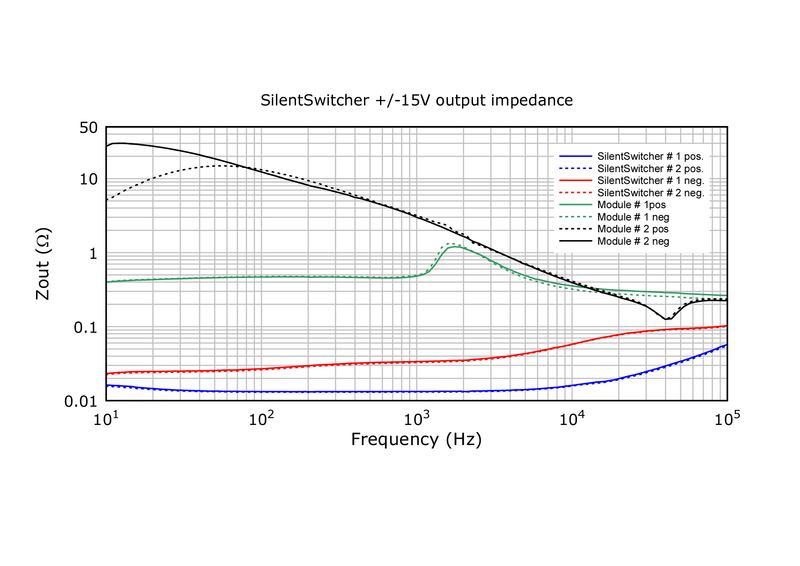 Are Linear Bench Supplies Really Quieter Than Switchers? A few months back I thought I was doing my test bench a favor by powering the PCM4222 EVM A to D from a big 105W linear power supply. We tend to think linear supplies are quieter than switchers and in many cases they are. But that's looking at the DC output. 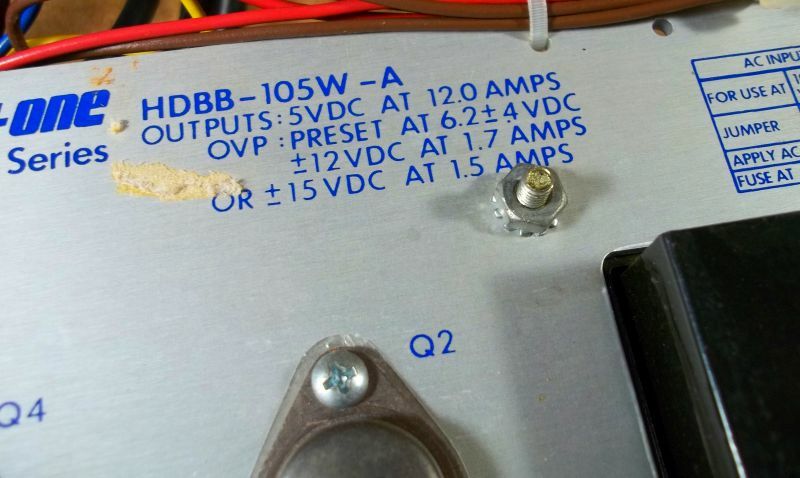 Here's a pic of "The Beast," a linear Power One 105W ±15V and 5V supply I thought would make a good bench utility supply for the A/D and other instruments. Sure enough "The Beast" produced quiet FFTs. But the problem was hum - lots of hum. Though I wanted to re-purpose the Power One I just couldn't locate it far enough away to make it useful on the bench. The FFT's are quiet and the remaining ambient magnetic hum field on the bench is far lower. In this case the switcher was a quieter alternative despite its noisier DC output. Re: Are Linear Bench Supplies Really Quieter Than Switchers? Before they got class D audio amps cheap and powerful... they replaced big iron transformers with small HF switching supplies, powering more conventional linear audio amps. It is inevitable that switching power supplies will become pervasive. I'm using Power One linear supplies in my console. +/- 15VDC @ 3A. One each for Modulation and Preview. I'm also using +/- 24VDC @ 3A. One each for Modulation and Preview. All this is duplicated in a second power supply. They are located far away form any audio. There is no audible hum but I haven't measured it. I am now making measurement notes using the bench supply with respect to noise, distortion and crosstalk. I will compare that to what I measure when the units are installed in the console using the linear supplies. I just blew the first MeanWell PD-2515 in the bench supply I made for working on console units. It's output is just under +/-12VDC. I just popped in another one. At $12 each it's hardly worth trying to fix it. I just ordered volt panel meters to go with the current meters I already have. It took me a few minutes to figure out that the PD-2515 broke. I think the $25 for eb*y special 0-30VDC meters will be worth it. I'll make a separate panel that I can use with the test jig breakout box when I use it on the console in the studio. I've found linear supplies to generally be very quiet in use when remotely-located. My situation is especially difficult trying to measure noise with the MC preamp on an unshielded Protoboard. I just couldn't get it far enough away to duplicate previous measurements. The Power Ones, Condors, Bel Power et al are remarkably similar boosted µA723 regulators. There's a lot to be said for their time-tested designs. I must admit to wussing out for sensitive circuits and have a couple of these https://linearaudio.nl/silentswitcher . Powered from a USB battery pack you get clean rails and no grounding issues. Total cop out, but works. We have cell phones to thank for those high-performance linear post-regulators. The output impedance curve versus frequency shows no evidence of resonance unlike the linear supplies in the comparison. Bet the black curves are an LM317/337 without Vadj bypass. I wonder how much AC leakage current flows through the typical USB charger, through the silent switcher DC 0V output, to Earth? Dollars-to-donuts you'll measure 120 VAC (in the UK) at very low current. Just curious as to what the numbers are. The battery option seems bullet-proof and very cool. Not sure on the leakage. My plan was to leave on charge and then flip to battery for listening. I'll hunt around and see if any measurements of that were done. Does the silent switcher galvanically isolate USB DC 0V from its +/-15V and +5V DC 0V? There's a leakage current path from Line > USB DC 0V > Supply DC 0V > Planet Earth 0V even if there isn't a galvanic one. I just wonder how big it is. It would seem to vary greatly with the USB supply which would likely be the strongest link in the chain. Your battery solution for measurement solves all of that. Here' in the US they're starting to make wall outlets that are USB power supplies. Looks like a regular wall plate but has USB connectors. I've had confirmation that you do indeed get some hum on the lines when using a USB wall wart to power it. Most leave them on charge and unplug for use. No measurements though. You get more power out with a 9V supply which I might need due to rather a lot of relays in my future. However easily rechargable decent Ah 9v batteries are not easy to find. Probably will end up just having two switchers. Thanks for the update. I bet the AC-powered performance WRT leakage current and hum will vary greatly with the particular USB supply used. Still curious to see if there's a direct galvanic path between the USB DC 0V and the Switcher output 0V. I have a pile of used, but still good, 12V UPS batteries. A 12V to 5V LDO linear regulator feeding a Silent switcher on a battery ought to have a long run time.